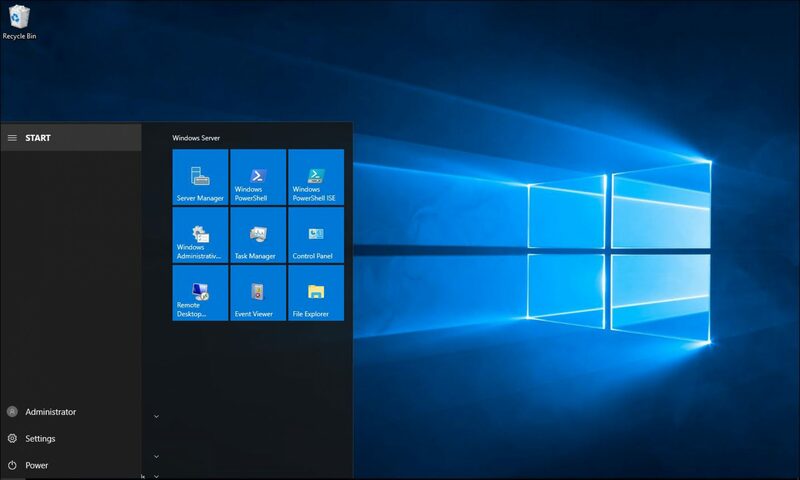 Answer: Exchange Server 2010 has made the creation of Mail-Enabled contacts simple and easy than any previous version of Exchange. 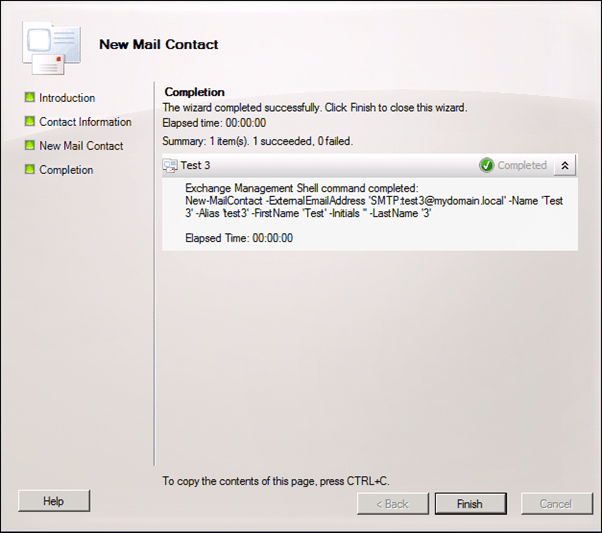 To Create Mail –Enabled Contact In Exchange Server 2010 follow the steps below. 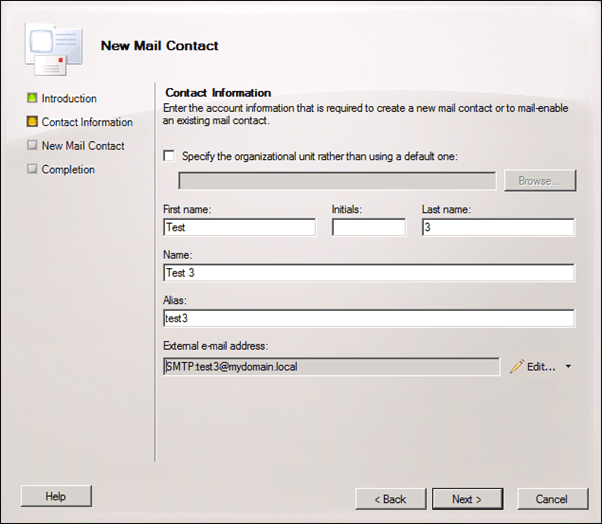 Fill in all the information in the New Mail Contact page and Click Next.